We’d love your help. Let us know what’s wrong with this preview of St. John Off The Beaten Track by Gerald Singer. To ask other readers questions about St. John Off The Beaten Track, please sign up. 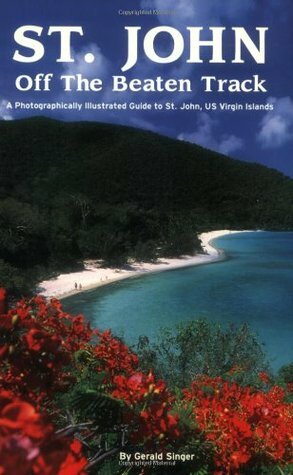 A must read if you visit St John and rent a jeep, which you should do, both. Another book I read before my honeymoon. This one was also very helpful at helping to plan our days. The plus side to this one was the color photos. This book is great. i took it on all my hikes and led me to some great locations. Be sure to buy this book as there is a wole other side to St. John. Great descriptions of that trails, seems almost too detailed until you're actually out there wishing you'd ripped the pages out to pack in your trail bag.